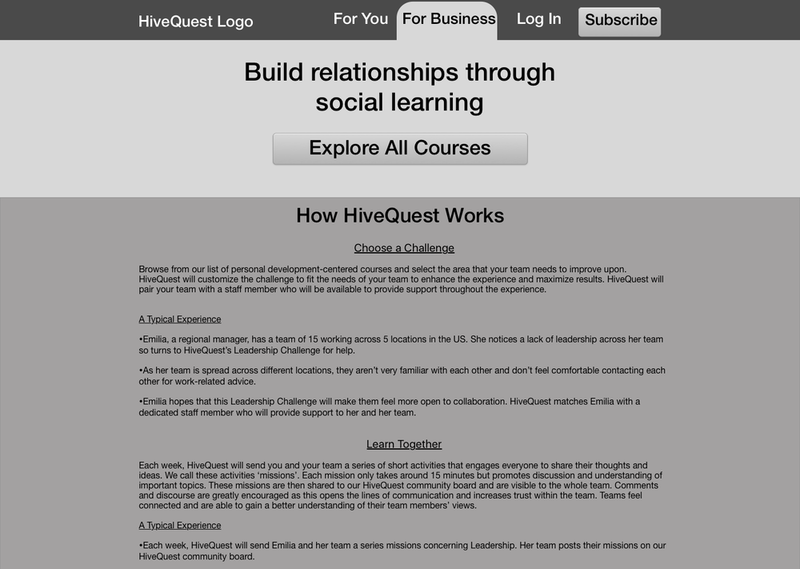 Background: HiveQuest is a social networking and online learning platform that provides challenges to individuals and company teams to help develop their key values and personal skills. 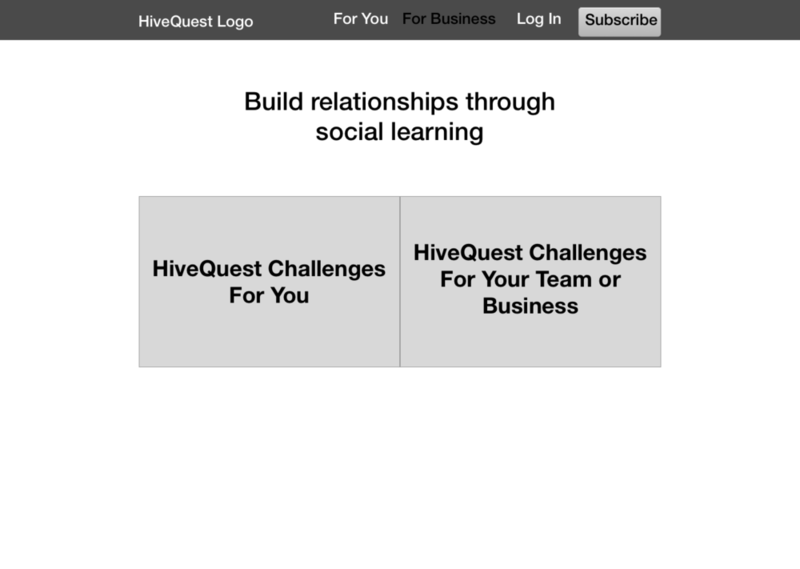 HiveQuest hopes to be a trustworthy resource for their users to enrich their lives by participating in personalized challenges and to ensure they receive support during and after the completion of them. 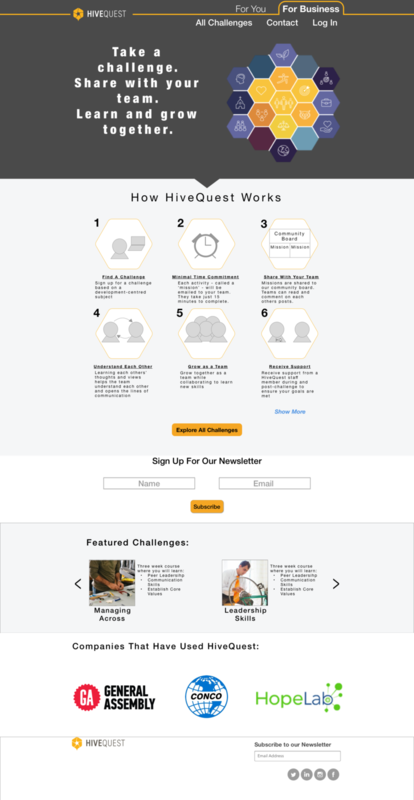 We were tasked with redesigning HiveQuest’s web platform to have a more appealing information architecture and a navigable website for their end users to discover content easily. How can we improve their digital platform to encourage users to want to click through their website and purchase a challenge that suit their needs. To redesign HiveQuest's web platform so that users are able to click through easily and find comprehensive contents and services that are engaging enough for them to want to purchase. I worked with my team to do a competitive analysis on HiveQuest with other similar learning platforms to see the advantages they have and how well they compare to their competitors in this type of business. 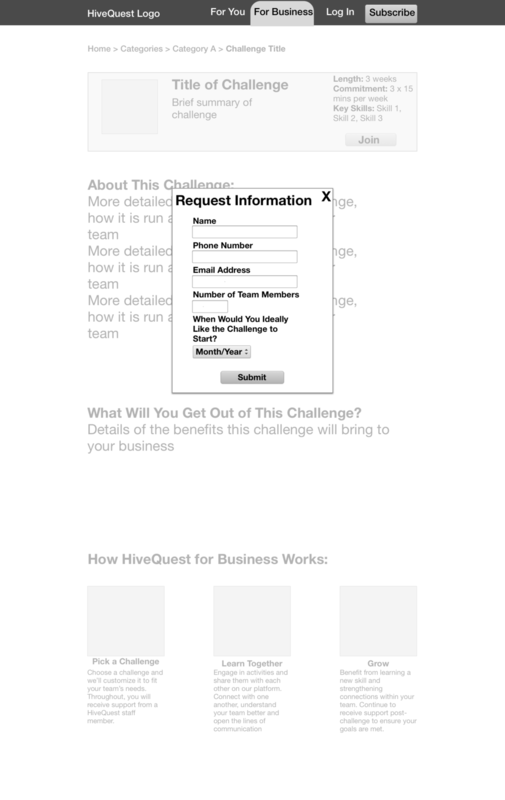 HiveQuest would have a more competitive edge on establishing their business-to-business branch. I also helped with user interviews where we found some great insights and gained a better understanding of what team managers do and the struggles they face when managing a team. Team managers stress the importance of communication among all members of the team. Small to medium-sized companies, remote teams, and shift workers experience more difficulty involving participation in team building activities and are unable to share their thoughts and ideas at the appropriate time due to lack of resources and geographical limitations. 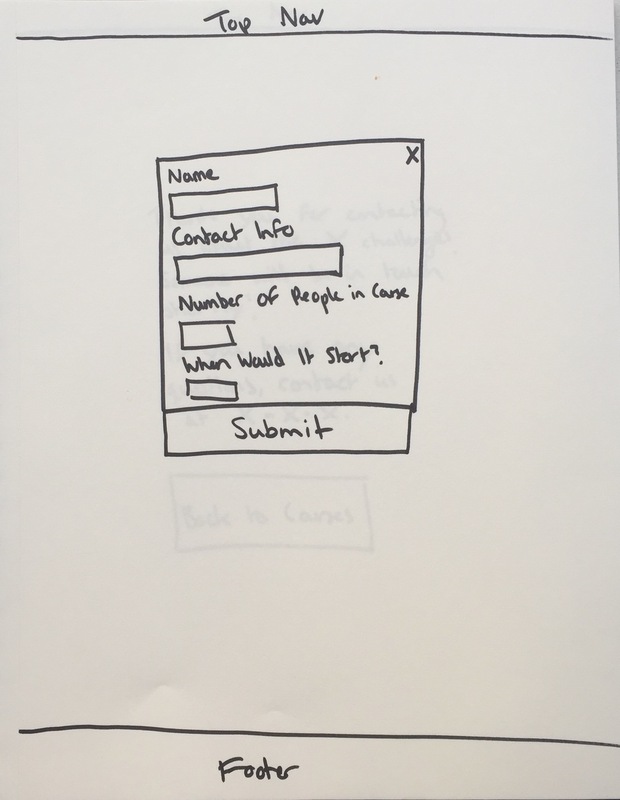 Based on our user research, I helped develop user personas to establish a more concrete problem and solution. We focused on Emilia, who will act as the bridge between her workers and HiveQuest to help increase her teams' productivity and spirits by using HiveQuest services. 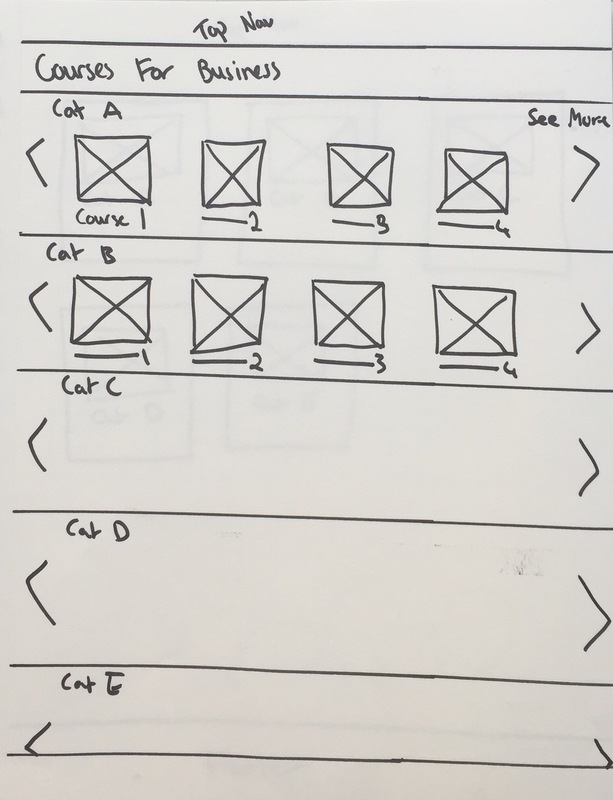 My team and I ran a design studio and came up with various wireframes to embody our initial design decisions. Users needed to know how HiveQuest works before they feel comfortable in accessing the content. Explaining how HiveQuest works is different for Business to Business and Business to Consumers. 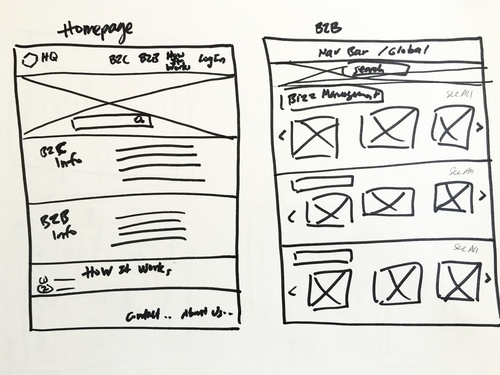 Content strategy at this point was crucial in pushing us forward towards the next steps in our design process. 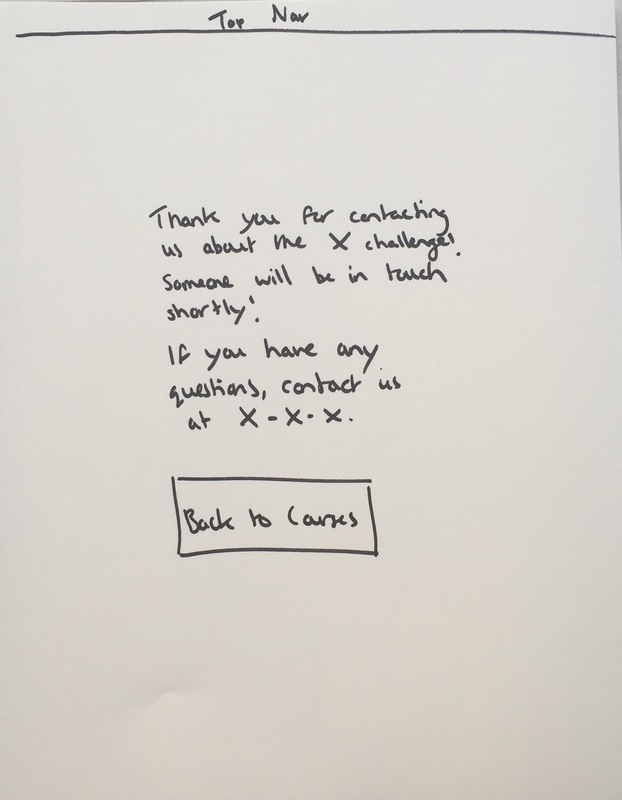 If the content was not clear, the users could not comprehend what they were seeing and using, thus they were unable to continue through the website. At this point, my team and I went through agile design process. We mainly focused on our homepage where our primary persona will land after a web search online. We wanted to ensure users understood what HiveQuest was offering and how it would work for them, but we were extensive in defining the process. 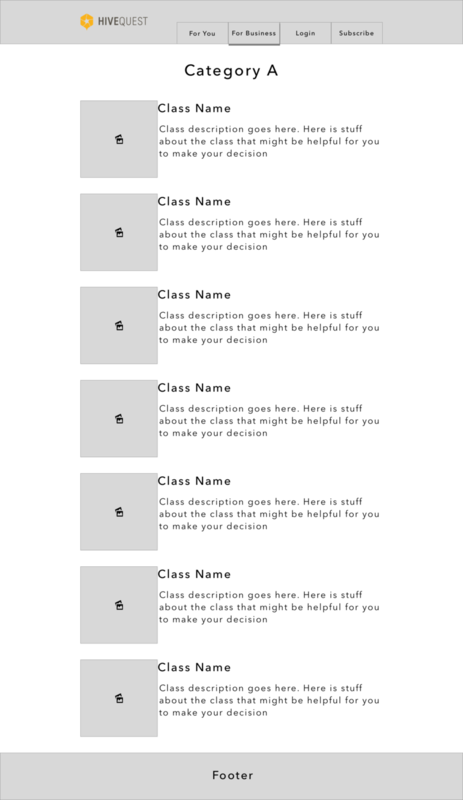 As a result, user testings showed that there was too much of a cognitive load due to the amount of text, which was a huge pain point for them. With their busy schedule, they do not have the time to read through the content and would rather have more visual information. 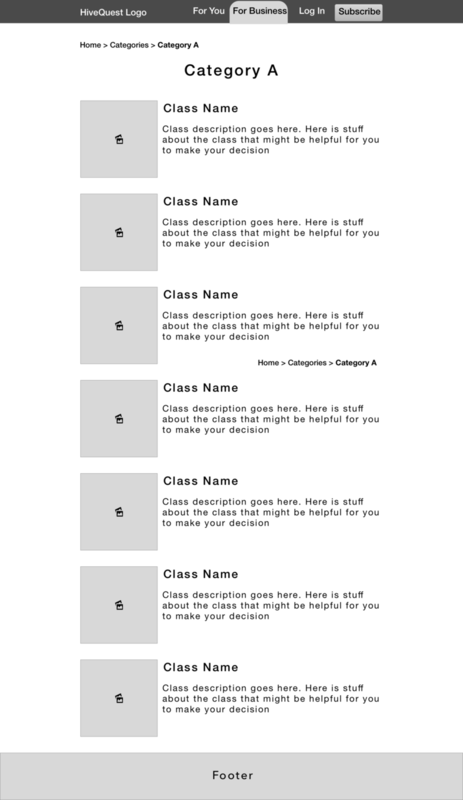 We then iterated again and incorporated infographics which turned out a lot better for users. However, there were still too much to process. With a final iteration, we were able to get to the solution. We brought back HiveQuest mandala, which is part of their brand. 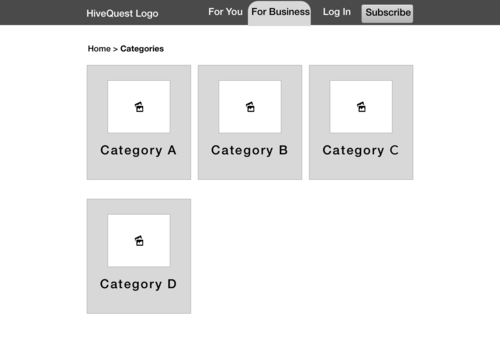 More importantly, we were able to design the information architecture where users are able to comprehend the core purpose of HiveQuest, visually and textually, through short and concise wordings, and also have the option of reading more if they choose to. 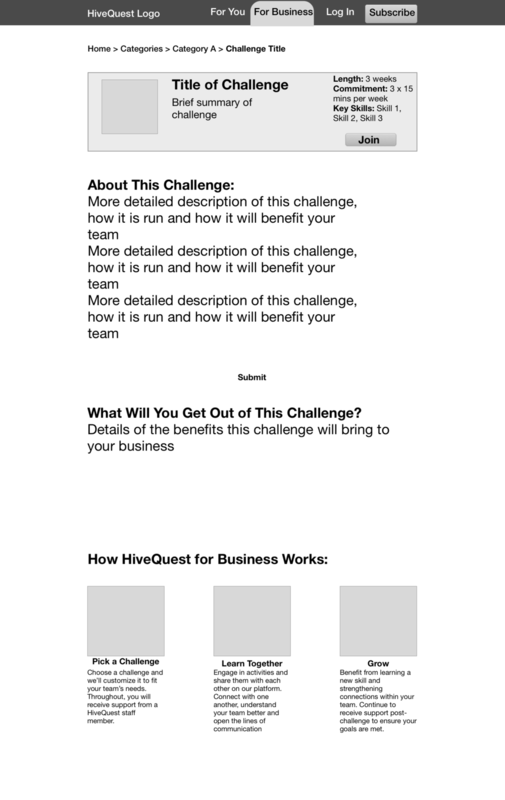 By simplifying HiveQuest’s navigation and increasing the discoverability of the challenges, users are able to click through the web platform easily and see contents that are more engaging for them to want to see more of what HiveQuest offer and thus would want to purchase a challenge.